We can help you feel better. Treatment consists of a psychological therapy known as cognitive behavioral therapy (CBT). This is a short-term therapy and most people will require between 15 to 20 sessions. The emphasises of this type of psychological treatment is on the thoughts (cognitions) which can influence how we feel and what we do. Therefore, changing the way we think can result in positive changes in emotions and behaviours. Unlike other types of psychological therapy the focus of CBT is on the “here and now” of problems and difficulties. This form of therapy has been shown to be effective in the treatment of both Mood and Anxiety Disorders by research conducted over many years. Research has found that exercise can help in the treatment of depression. Exercise may block negative thoughts, distract people from daily worries, and increase a sense of control or self esteem. Increased fitness may lift mood, improve sleep patterns and increase energy levels. Furthermore, exercising with others may increase social contact. 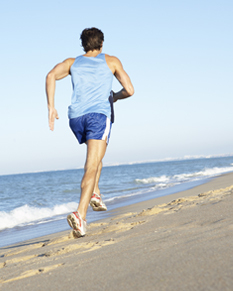 Exercise may also change levels of chemicals in the brain, such as serotonin, endorphins and stress hormones. Regular exercise as a treatment for depression has the added benefit of improving general health and preventing serious illnesses. It should be noted that no one approach works better than all the others in all circumstances and it is important that you find a therapist that you trust and is qualified to help you.